Hilly Hi, I'm Hilly - or more generally known as Felidae or RainbowArt. I'm born and bred in the medival town of Celle in Germany where I met my English husband. We got married in England 42 years ago and lived there for the first third of our marriage. We moved to Germany because the social security and a few other important things are better here, and now live in a small town just outside Hannover (That's where England´s King George II was residing, the Hanoverian horses come from, and the Expo 2000 took place). Hilly I started selling our art with "the other place" in late 2004, but closed shop there about a year before the big bang because I could see it coming. 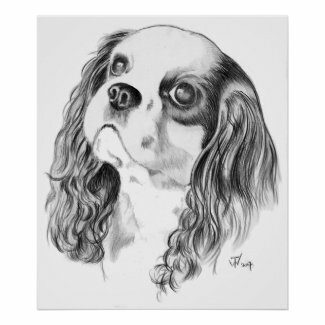 After trying a few other places a fellow artist told me to try Zazzle - I joined in early 2008 and never looked back. The design interface was easy to use, and for the first time I actually received a cheque more than twice a year. I also loved the diversity of products. Hilly Rainbow Art is my first and main shop. This is where our paintings live (my husband draws and paints with airbrush, I draw and paint in oils and watercolors), also all the designs that warrant the adjective "artistic". Cats `n´ Dogs is a shop for - no surprise - cat and dog lovers, it also features designs with big cats. Whacky Whimsicals is just that: cute and whimsy designs for all ages. Dragonmyth is a shop full of dragon designs. Family Humor is full of fun designs for moms, dads, grandparents and of course babies and kids. Dark Shirts is filled with dark, gothic and grunge designs. The Hobby Shop contains designs for lots of hobbies and crafts. Initials is the shop which is the home for my decorated initials/monograms. In the Mad Dogs and Englishmen shop I put all the patriotic Brit designs for Englishmen, Welshmen, Scottish and Irish. The Crockery is pretty new and has not all that many products in it, it's exclusively for tableware and the towels and placemats. Rainbow Cards is - you guessed it - the home of lots of paper products, binders and such. Silly Shirts is the home of all my humorous, funny and silly designs. 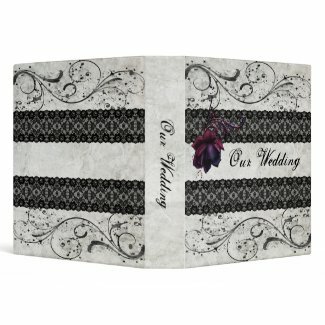 Wedding Styles is also pretty new, the wedding section at Rainbow cards got too big so I am in the progress of moving all those products to their own home, and also I am adding stuff for bachelor and bachelorette as well as engagements. 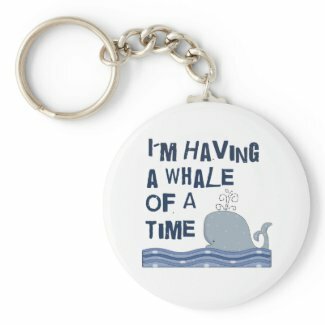 Whacky Whimsicals: The bestseller here is definitely the "Whale of a Time" keychain! Rainbow Art: Sadly enough it's not one of our paintings that takes first place - but the Jewel Butterfly, mostly sold on phone cases and the tile boxes. Dark Shirts: This is not one of MY favourite designs - but the customers made it a bestseller: Floral Grunge. The Hobby Shop: Although a lot of designs do well, especially in the holiday season, this is the winner; Dancing Penguin. Initials: All monograms do well, but this is one of the customers favourites - the hummingbird initial on several products. 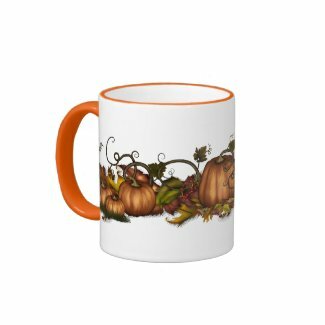 The Crockery: As the shop is pretty new not many products have sold, but this autumn leaves and pumpkins design has sold best. Hilly I don't have a lot of free time on my hands - I work fulltime, and my husband has been disabled since 1998 so I have a lot of work on my hands at home, too. I usually work on or for the shops weekends, during the week I like to read (I have a room full of fantasy novels), play on the pc, or get a bit of movement by playing golf or other sports games on the xbox with hubby. Hilly I was lucky to have lots of ready made designs before I joined Zazzle, so the shops were pretty full from the off. And as I only have two or three hours during the week for myself I Zazzle weekends, and tend to the rest of my life during the week. Hilly The programme was introduced just after I joined, it took me about six months by the old requirements (earn $100 for three consecutive months) to reach Bronze - there was no Basic then. Hilly Don't listen to those who tell you you need thousands of products to be successful - put quality over quantity. I know several sellers who earn good moneys with only a dozen or two designs. Take care to name your product well for SEO purposes, give it a good description that Google will love, and ten really spot on tags are well enough. 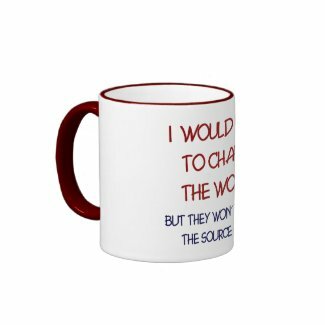 Always leave your products customizable - that's what makes Zazzle unique, and that's why customers buy there most! Nothing like a cool design with your own name on it. Don't think for one minute because you wouldn't buy a product with your photo/painting/design no-one else will - customers have the strangest ideas! Don't put square pictures on t-shirts, it doesn't look professional. Use a graphics programm to soften the edges or make it into a shape that looks better, or use a mask to make an interesting shape. Wow Hilly! Thanks so much for the awesome interview. :) I love how you set up your shops.. you always have beautiful store fronts.